This article includes an easy solution to recover files from RAW drive with free file recovery software. 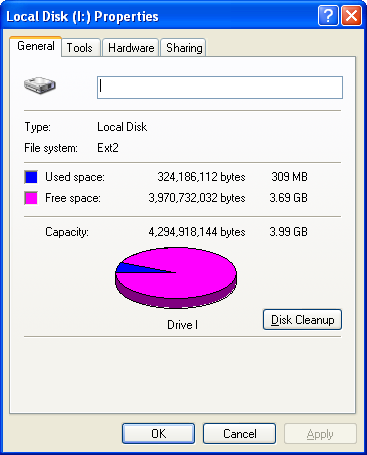 RAW drive recovery is needed when the corrupt partition contains important data. Free download RAW partition recovery software and get back lost data safely and quickly. File system is one of the main elements of all operating system like Windows, Mac and Linux. It is used to manage files and folders and file directories on hard drive and other storage devices. It is easy to get corrupted, rendering all partitions and making partitions inaccessible. What’s worse, system on computer may fail to boot and all data on the hard drive becomes inaccessible too. RAW is not normal file system and it is the result of file system error. This can be caused by a series of reasons such as virus infection, format failure, unexpected power failure, improper system shut down, bad sectors and so on. When partition turns RAW, it can’t be recognized by Windows operating system, and files in the partition will be lost. File loss may breaks the heart of data owner. Apart from hard drive partition, this RAW problem also happens to USB flash drive, memory card, TF card, external hard drive, SD card, etc. Since there is no correct file system on the problem partition, then it will report message when you try to open it. You may get the error “Sector not found”, since system can’t identify RAW. 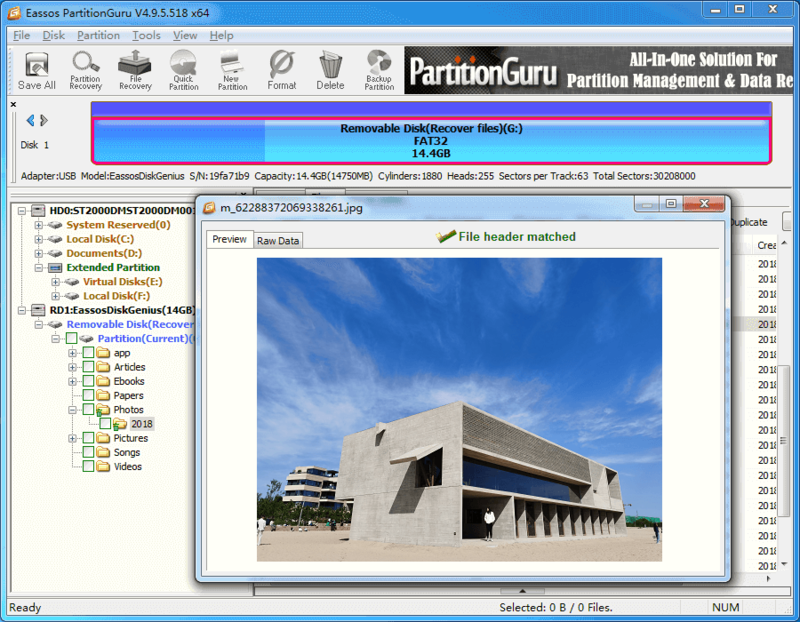 Eassos PartitionGuru Pro is powerful file recovery and partition recovery software. It can perform file recovery and partition recovery from healthy hard drive as well as corrupted hard drives. Also, it is able to recover deleted, formatted, crashed data from various storage media. It supports recovering data from NTFS, exFAT, FAT32/16/12, and EXT2/3/4 partitions. Let’s start RAW partition recovery now. How to recover files from RAW drive partition with file recovery software? First and foremost, free download Eassos PartitionGuru Pro and install it properly. Step 1. Run the program and you’ll see its main interface. Select the RAW drive and click File Recovery button. Step 2: Select Complete Recovery and click Start button to search for lost data from RAW partition. Step 3. After file scanning is done, you can see all recoverable files listed by the program. Before actual recovery, you can preview files before RAW drive recovery and then get to know the possibility of successful recovery. Once files are recovered from RAW drive successfully, you can format the RAW partition to get it repaired. This entry was posted in Data Recovery, Partition recovery and tagged file recovery software, partition recovery, partition recovery software, RAW drive recovery, Raw Partition Recovery by EASSOS. Bookmark the permalink.